Fort Morgan-based Morgan County Rural Electric Association offers home and business energy audits to its membership at no cost. MCREA members who have questions about their electric bill or want to find ways to be more energy efficient can schedule energy audits at their convenience. MCREA Member Services Representative Bill Annan conducts the energy audit by performing a walk-through of the home or business to collect information. An infrared camera may be used to assist in identifying building envelope weaknesses. Annan also reviews the member’s history of electric consumption and discusses the member’s concerns and goals of energy consumption. Once the audit is complete, members can assess priorities in their energy efficiency plan based on recommendations made by the auditor. Lake City’s first public electric vehicle charging station was recently energized and available for locals’ use. 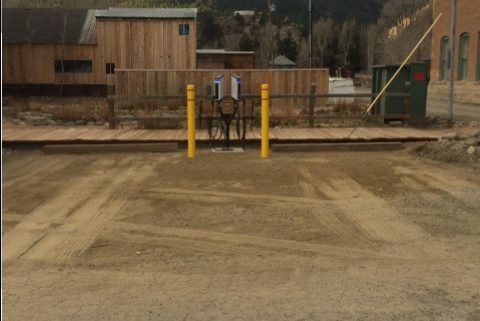 Gunnison County Electric Association was awarded another grant from the Colorado Energy Office’s Charge Ahead Colorado program, which helped cover the costs of the equipment and installation of the level 2 multi-port electric vehicle charging station. Charge Ahead Colorado promotes the use of electric vehicles and increasing electric vehicle charging station infrastructure around the state. The Gunnison-based electric cooperative partnered with the town of Lake City on the project. Lake City generously donated two parking spots on town-owned property and poured the concrete slab for the station. GCEA staff installed the station and performed some of the electrical work. GCEA is proud to offer another resource to allow electric vehicle owners opportunities to travel with confidence between communities, promote clean energy technologies and encourage the use of more electric vehicles in the area.